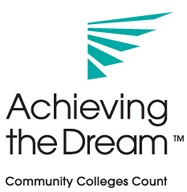 Achieving the Dream is a national movement to help more community college students, particularly low-income students and students of color, stay in school and earn a college certificate or degree. This national network includes 160 community colleges and institutions, more than 100 coaches and advisors, and 15 state policy teams that work throughout 30 states and the District of Columbia. This movement aims to help 3.5 million community college students achieve their dreams as the most comprehensive non-governmental reform movement for student success in higher education history. UDC-CC has been a member of the Achieving the Dream since 2010. At UDC-CC, Achieving the Dream is led by faculty and administrators. You can view the Achieving the Dream Leadership Team and the faculty and administrators who serve on the Data and Core Teams. Achieving the Dream is a data-informed effort. To learn about UDC-CC’s Achieving the Dream data and institutional information visit the UDC-CC Information Center. Student-Centered Vision: Helping all students – particularly low-income students and students of color – achieve their educational and career goals is of paramount importance. When we are engaging students directly, listening to them, and tailoring our response to their needs, we are attuned to the “true north” of the Achieving the Dream internal compass. Equity and Excellence: UDC-CC is dedicated to excellent education for all students. When an achievement gap exists between one subset of students and another, this represents an opportunity to make changes that bring about a more equitable educational environment. Culture of Inquiry, Evidence, and Accountability: A hallmark of Achieving the Dream movement is our commitment to evidence-based decision-making. The Achieving the Dream Network uses quantitative and qualitative data to stimulate reflection and discussion, and inform decisions in the quest for better student outcomes.